You want a profitable business without costing the earth! If you want a business that generates you income while also positively contributing to others, then you have arrived at the right place! Whether you have an existing business, or you’ve an idea that you want to bring to life, there is a way to create a positive triple bottom-line company: profit-people-planet all winning. No longer are these areas mutually exclusive, you can have it all and do good at the same time! A bold statement… yet there aren’t many coaches who are award-winning business-owners, World Champion in triathlon (2014 age-group), bank-trained business mentor, double Masters in Engineering & a global professional speaker talking about Life- and Business-Success! I’ve also got your back; I want every being on this planet to thrive… and this starts with you! Yes, I know my stuff! And throughout our coaching time, you will develop the tools and confidence to take action. My way of coaching is to empower you in becoming the Leader you want to be. You are unique and so your coaching should be too. I don’t follow a template, or ‘one size fits all’. We start where you are & we work towards your goals. Business doesn’t work if nobody asks questions – and you will learn what questions are important, and how to get the answers fast with me by your side! My focus is to get your goals achieved and that you develop key skills along the way, and sometimes you have to pull down what is there in order to build-up stronger. Email access with me and my team outside our coaching sessions to support you & answer any ongoing questions. How close are you to creating your dream-life? I believe that all we need is within us, we sometimes need someone to remind us to look inside, rather than outside. You are someone with big aspirations and want to start living them sooner than ‘some day’. Having big dreams and goals is wonderful and the truth is we need to be inspired to want change, empowered to take the first few steps and then we can create this abundant life we imagine. And that’s where I come in: Together, we can discover what you want to have, and who you want to be in life. We can then devise a plan to get you there… with fun, with speed and with what you want as our focus. I am not here to do it for you, or tell you want you should (or shouldn’t) be doing: There are literally thousands of books, courses and coaches that already offer this. What I can offer is something much more powerful: I empower you to design and create what is important to you. You will be equipped with everything necessary to create whatever you want in your life, and more. Your transformational attitude will permeate throughout your whole life, so even if we’re working on one area of your life, you could see positive changes in everything you do. Following the tick-list of society has got you this far, but you still feel that something is missing: The spark you had years’ ago is fading. You feel like you’ve achieved so much, yet still want to achieve more… but you don’t exactly know what that is, or how to get there. If this attitude was right, then how come you can’t get back to sleep some nights, or you catch yourself daydreaming about something you want to do or have, but haven’t… yet. If you are a person who settles for average, then I would recommend you stop reading now. But, if you are someone who is ready to step up and start working towards living that dream-lifestyle, then read on! Imagine that within 2 hours of coaching, you could gain clarity of your direction in life, what is most important to you and how you can achieve it. This is possible and available to you now! You are unique, and your coaching should be too. I never offer a ‘one size fits all’ approach, and I only work with people who want to positively change their life, even if you might not know what that looks like, or how to achieve these changes… yet! First, contact me below & we’ll book in your free Clarity Call – where we will discover how best to work together. Ready to realise your business dream? Book a 15-minute complimentary Business call now! We're delighted to have had Kate Strong breaking the Guinness World Record at our VegfestUK London 2016 event at Olympia London. Kate's determination and drive to succeed was there for all to see. She inspired plenty of our visitors with her talk and her 24 hour cycle ride, and she was living proof of the benefits of veganism that weekend. Well done Kate - you're a star! Kate Strong has provided me with valuable support and guidance in the initial stages start-up of my own business. In my eyes Kate is a clear and connected. She is professional, focused and determined to help others grow and overcome whatever blockages they are facing, being it in their personal or work environment. Kate gave me a sense of organization, clarity and empowered me with the right tools to get the job at hand done optimally. 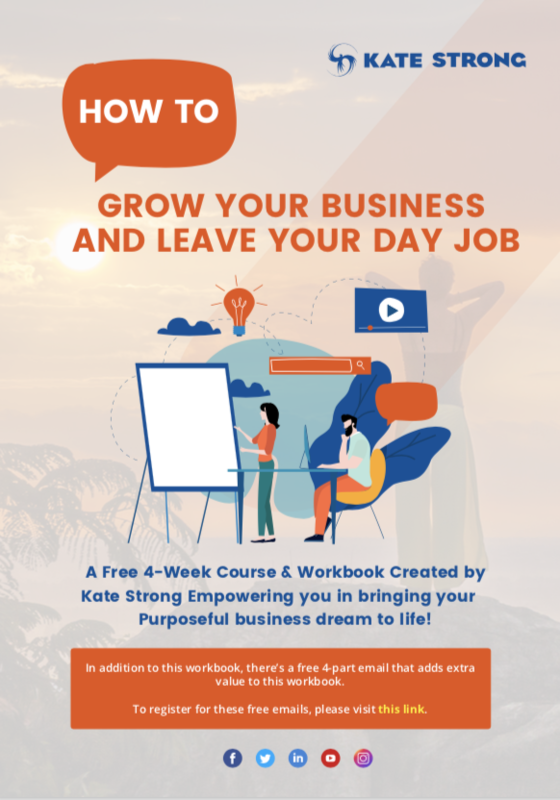 I highly recommend Kate Strong for personal and/or business growth. I am looking forward to working with you in the future. Meeting Kate has deﬁnitely been a game changer for me. Her perspective on things is so clear and she's so knowledgable that she taught me and showed me a totally new way to view myself and my own capabilities, and now I'm reaching goals within weeks that I thought would take me years. Every moment spent with Kate is worthwhile, with her valuable words of advice and her own inspiring personal story. Thank you Kate!